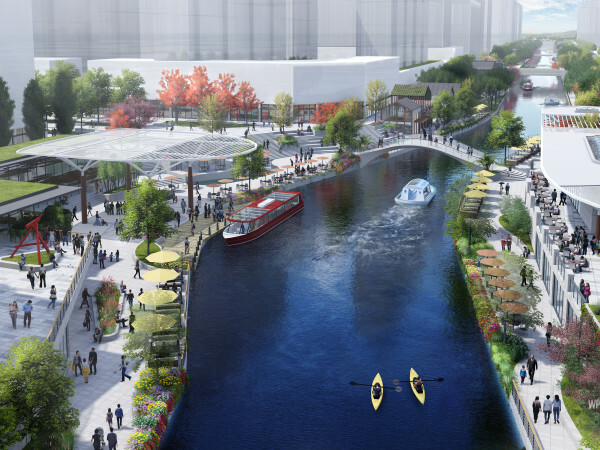 In the ongoing saga of the Trinity River Park, Dallas Mayor Mike Rawlings presented a new concept on May 20 for the first phase that will use native plants, elevated landscape, and natural features. In a release and at a conference, Rawlings called it "a new day." "There have been many conversations about what this park can be, and should be, but we've never had a clear and realistic vision until now," he said. 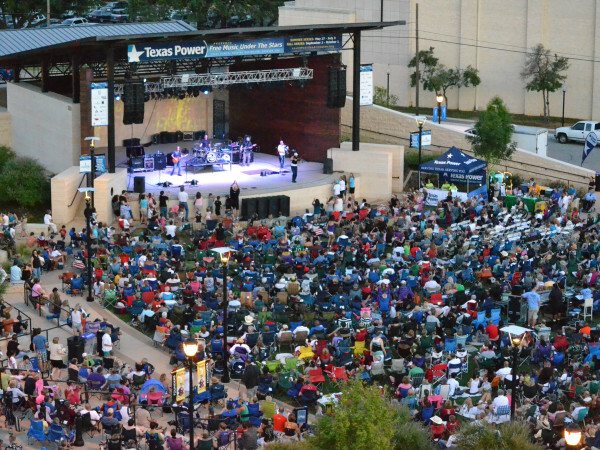 "The concept we now have for the Trinity River Park has the potential to take what has long been a divider in our city and transform it into a connection." 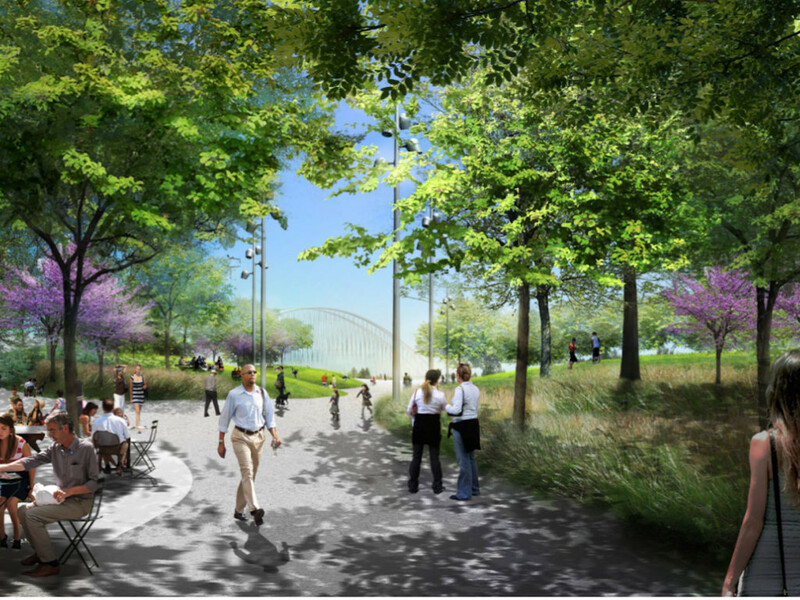 The proposed park area spans more than 285 acres, encompassing the Margaret Hunt Hill Bridge, Margaret McDermott Bridge, and the Continental Avenue Bridge. The area connects both the sides of the Trinity River from downtown Dallas to Southern Dallas/West Dallas/Oak Cliff. 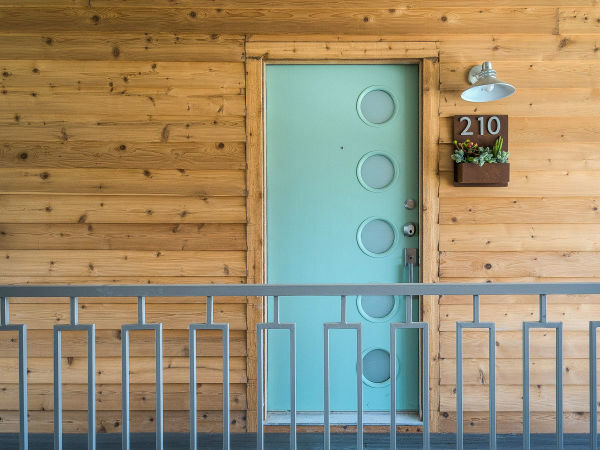 The location was selected because of its proximity to downtown. The concept includes a new naturalized river landscape that will change with the seasons. Rainy season will allow for flowing waterways. During drier seasons, the park will transform into a marsh-like waterscape with an exposed river bottom and drier plant life. The design also includes miles of pathways and trails within the levees, and sites for five elevated parks with overlooks that will extend from inside the levees into the adjacent communities. The plans were funded through the Trinity Trust as a $5 million gift from Deedie and the late Rusty Rose. Also from that gift, funds were provided to create the Dallas CityDesign Studio housed at Dallas City Hall, to support bcWORKSHOP, and to fund the Connected City Design Challenge that brought the best ideas for redevelopment to the Trinity. Rawlings selected Michael Van Valkenburgh Associates (MVVA), a landscape architecture firm, and John Alschuler with HR&A to help with the concepts. MVVA has experience with flood conditions in major parks working along rivers and harbors in St. Louis, Toronto, Brooklyn, and Pittsburgh. They're the same firm selected by President George W. Bush and Laura Bush to create a Texas landscape to surround the Presidential Library in Dallas. MVVA has also worked in Tulsa with the Regional Office of the Army Corps, the critical regulator with jurisdiction over the Dallas floodway. HR&A's experience includes working on waterfront development efforts for sites in New York City, Toronto, Hong Kong, Philadelphia, Charleston, St. Louis, and along a 10-mile stretch of the Anacostia River Waterfront in Washington, D.C. The firm has also worked on the development of the 4,500 acre Daniel Island for the Guggenheim Foundation. Costs of the park will be based on the final plans and availability of funds through public and private fundraising efforts. The model will be on display for public viewing in the City Hall lobby beginning May 23. Over the coming months, there will be various community engagement efforts, to further develop a design and programming plan for the five connector parks.